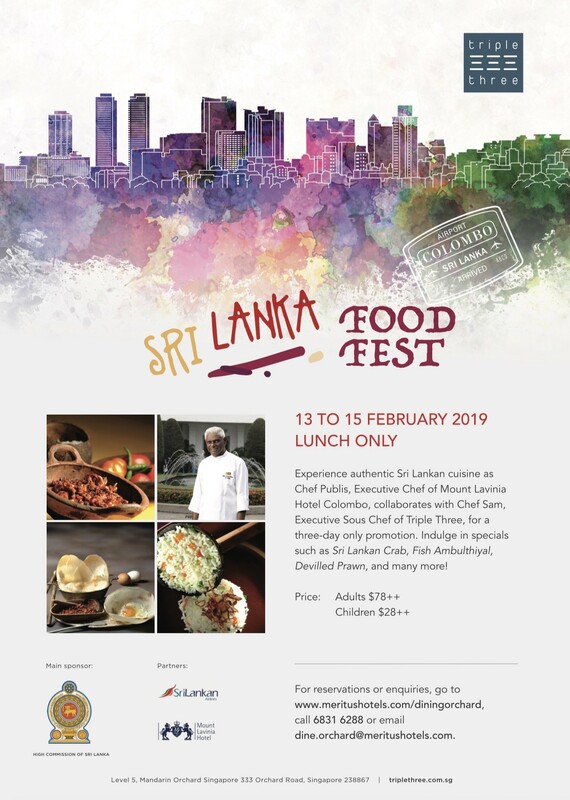 Sri Lanka High Commission in Singapore in collaboration with Mandarin Orchard Singapore has organised a “Sri Lankan Food Fest” to showcase authentic Sri Lankan cuisine. The event will be held from 13th to 15th February 2019 at 12.00- 2.30pm (only lunch) at Triple 3 Restaurant, Mandarin Orchard Singapore, 333 Orchard Road, Singapore 238867. The “Food Fest” will be jointly inaugurated by H.E. 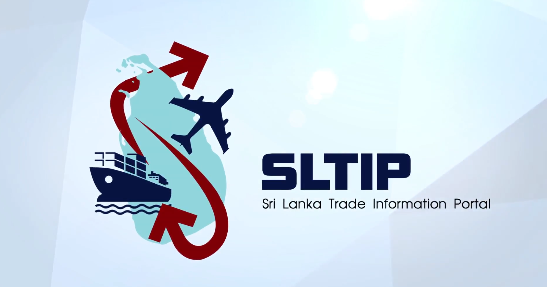 Mr. S. Chandra Das, Non- Resident High Commissioner of Singapore to Sri Lanka and Mr. O.L. Ameer Ajwad, Acting High Commissioner of Sri Lanka to Singapore at 11.30 am on 13th February 2019 at Bar on 5, Mandarin Orchard Singapore. 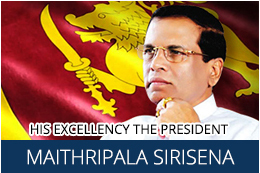 Chandana Wickramasinghe Cultural Guild will perform a Sri Lankan Cultural show at the inauguration. The Celebrity Chef Dr Publis of Mount Lavinia Hotel of Sri Lanka, who has a Guinness record for creating the largest and longest kiribath (milk rice), will prepare and serve authentic food dishes such as Sri Lankan crab, fish ambulthiyal, tempered cashew curry, and sea food rice with variety of spicy curries. The buffet spread will also feature Sri Lankan hoppers, egg hoppers, string hoppers, kottu and mix of salads, together with rich pudding made with coconut and jaggery and mouth-watering waraka pancake and durian light pudding. The “Food Fest” will commence with the best ‘Ceylon Tea’ to refresh yourself and different tea flavours will be available to taste from renowned brands such as Basilur, Akbar and Hyson. 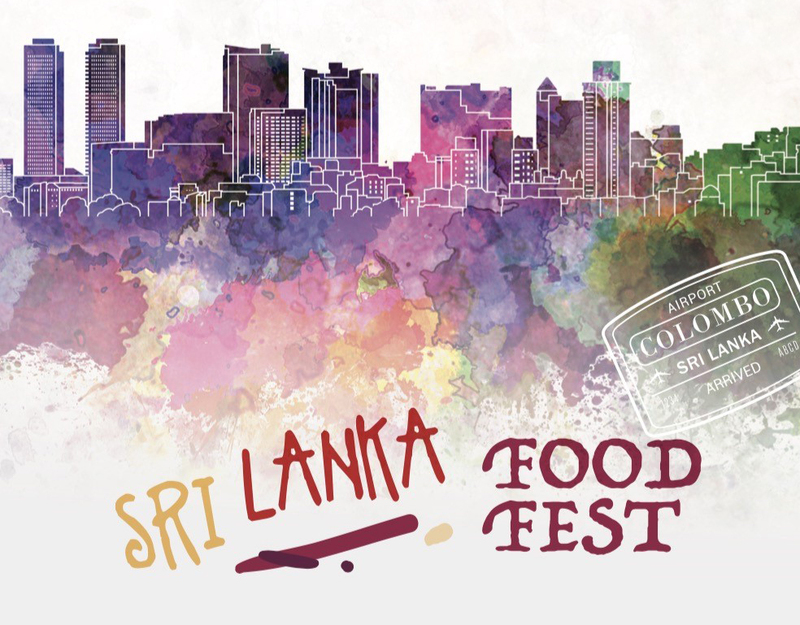 The “Food Fest" will also bring out many facets of Sri Lanka, including its natural beauty, arts and culture, which is presented in the form of tourism and music documentaries during the three-day event. There will also be a Tea & Spices Corner displaying favourite Ceylon Tea, Cinnamon, and other spices. Besides Food and Flavour, Chef Publis will be available to share his insights into health benefits of Sri Lankan recipes, spices, ingredients and tea. Joining Chef Publis, who traverses through his culinary journey with the belief that love is the secret ingredient that sets apart the best dishes from the rest, at this special occasion to enjoy his unique dishes, will be a great opportunity to give your loved ones a memorable gift on the Valentine Day.